Important! Before beginning this step you should have completed:. This step will help you engage your workers to find the root causes of any health and safety issues you have on site and learn from your mistakes. Leadership and Worker Involvement strategies should be used to prevent accidents, ill health, harm and loss happening on site. Leaders need to learn from those involved in the work activities, to gather information about conditions on a site. Leaders should do this to find out both how poor conditions may cause health and safety problems, and how individuals can be encouraged to work safely, all the time. 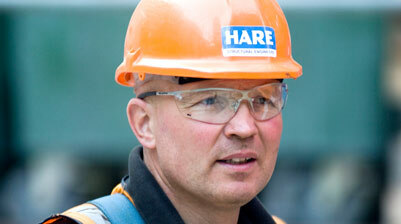 The full range of causes of accidents, injuries or ill health on your construction site are not immediately obvious. Blaming the individual worker may not only be unfair, it may also mean you overlook the real cause (eg a business decision, environmental reasons, inadequate PPE). In order to prevent the same incident happening again you must explore all potential causes. Engaging with your workers will help you get to the root cause of your health and safety issues and learn from your own and your workers' mistakes. Because they are present when an accident happens, workers are often in the best position to identify the many factors which contribute to causing accidents. Lets you identify and learn from good practice. The simplest tool to get to the root cause of your H&S issues is the ‘Five Whys’ tool. Think of a situation where someone in your business was put at risk, for example by falling from a ladder. Click the arrow below for the sort of questions you should be asking yourself about an incident like that. If you do not have the ability to use Flash please access the text version. Workers make a genuine mistake. Even the most experienced of people sometimes make mistakes. Workers may know the health and safety rules but may break them for many reasons eg time pressures. This is one of the biggest causes of accidents and injuries at work and occurs for many reasons. Most are motivated by a desire to do the job unhampered. The Human Failure tool will help you to identify the reasons behind common mistakes and how you can reduce these. This tool will help you use worker involvement to explore the root causes of your health and safety issues. This tool will help you to identify both the causes and consequences of unsafe behaviours on site. The causes of unsafe ways of working, accidents, incidents and ill health are not immediately obvious. Blaming your workers may mean you overlook the root causes (eg management decisions). There are many reasons why people make mistakes. There is a difference between human error (a genuine mistake) and a violation (deliberate rule breaking). There are many reasons why mistakes happen. There is a difference between human error (a mistake) and violation (deliberate rule breaking). Your workers are well placed to help you identify the root causes of incidents. Make it clear to your workers that you do not want to blame or punish them. You want to make improvements and can only do this when you know why people behave in certain ways. how to use worker involvement in a fair and non-judgemental way to explore the root causes of your health and safety issues. Blaming workers means they will become fearful of engaging with you about workplace safety and your improvement efforts will be less likely to work.